Remember back in my "I Wanted To Be An Animator" post a few weeks ago, I mentioned a crowdfunding campaign that I am working on? Great, because this week I'm going to be talking about it. 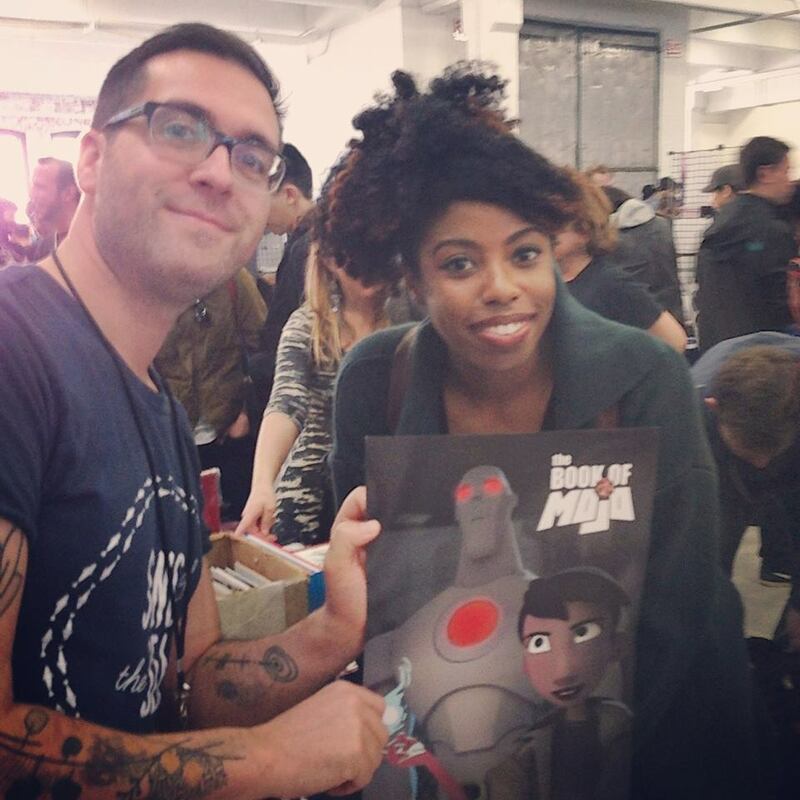 Book of Mojo was a webcomic created by Everett Downing. He and all of the contributing artists and production members such as myself are currently crowdfunding to turn the comic into a animated short. We now have 15 days left and are roughly 25% funded. If you have contributed then you saw on one of our recent updates that I attended MoCCA here in NYC on behalf of the team and interacted with many supporters and fellow classmates. Wendy Xu of Angry Girl Comics! Now I felt that it was important to write about this because I believe we should support those which are creating solutions to the problems we talk about. Again and again we talk about the lack of diversity and representation in media and entertainment and when creative groups of people come together and create a legitimate entity, thus giving opportunities to the same people who are trying to get footing in the industry we have to support these things. We have to tell our friends, family members coworkers and ESPECIALLY if know people who are working on the project. I deeply believe in Everett's project. Being in charge of it's social media I see and read al of the encouraging things that are said about Book of Mojo. I read your tags on tumblr and share them and I know, I see you all that want this as bad as we do. We can make this happen. We are in a time where indie music, films, animations, software, technology, you name it is proving that there is more than what status quo says there is. That there are other ways of getting content out there. I thank those family members, friends, internet friends who have helped to boost the Book of Mojo. If after reading this you would like to help get us funded you can click here. Thank you again! Also I will now be posting on Wednesdays!